Alcohol facts: the biological effects of a given drug (alcohol) may vary from person to person with factors such as the person's weight, gender and age, which may influence the intensity of the drug (alcohol) effect. Whether the drug (alcohol) is taken on a full/empty stomach or in combination with other chemical substances. A person's racial background differences may affect how a drug (alcohol) is metabolized. An estimated 14 million Amerikans have serious alcohol problems and suffer from social, occupational, and health problems. A survey conducted by the substance abuse and mental health services administration found that some 11 million people aged 12 and older were dependent upon or abused alcohol. Another 2 million people abused alcohol and one or more chemical substances. The purpose of this statement is not to perpetuate a personal attack on any individual, or their chosen lifestyle, as that would be a form of liberalism, which is not conducive to nation building and undermines the true principles of unity. However, the purpose of this statement is to engage the New Afrikan Black communities in a discourse of dialectics, by pointing out and addressing some fundamental distinctive contradictions that are prevalent in the oppressed communities, as it relates to alcohol abuse/additions. As the saying goes "the highest form of consciousness is magnified in the individuals day to day social practice." The principles of foco theory is the catalyst for this initiative. For those who may be wondering as to what foco theory is, it is simply the nucleus for making all material subjects/things move. Just as Fidel Castro was the foco for the build up of the Cuban revolution. Foco theory can be effective only when it does not allow itself to be isolated from the people. Foco may well be the best tactic to mount the motor of the people's will for real freedom. 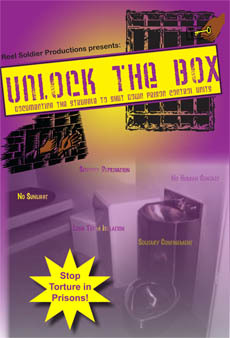 But the foco will need a long period of preparation and intensive organizational work, that will not only generate an atmosphere for real freedom by focus, but will also guarantee our logistics of communication/planning for survival programs, etc, such as this initiative "the new Afrikan prisoners: anti-alcohol campaign"
As a people, we must commit ourselves to a higher standard of living, if we are to one day achieve our ultimate goal of total liberation. We can no longer afford to hide behind the well to do excuses of putting the blame solely on the U.$. government, regarding the social dilemmas that plague our communities, in particular, as it relates to matters that we can control and change on our own. Our day to day social practices is a manifestation of what we believe in, think about, and consume into our bodies. So we must be mindful of this truth 24-7. Instead of engaging in the nuisances of alcohol abuse, we must begin to utilize our time and energy more constructively by exercising our minds towards the central task of achieving some positive goals in the areas of community healing/building. Through our collective will and with the application of self-discipline, this can be easily accomplished. If we allow the truth to be our guide in pushing forward principles of righteousness, then we should also realize that the objective of community healing/building cannot be achieved if our mental facilities are being overwhelmed with the toxins of alcohol. Meaning that the social wounds of oppression that the social system of U.$. imperialism has inflicted upon our communities will remain a prominent fixture. Our power as a people is unlimited, once we take control of and refine the focus of our minds. In light of the above mentioned scientifically proven factors, now ask yourself, what real benefits does an individual have in continuing on with the social practices of alcohol abuse? None, if you ask me! However, it cannot be overlooked that we have been conditioned to believe that alcohol consumption is harmless, on account of the large magnitude of alcohol advertisements that we are bombarded with in our communities and with the convenient access to alcohol at social gatherings, corner liquor stores, etc. Thus making it too easy for the common New Afrikan Black sista/brotha to abuse alcohol, in effort to escape the dilemma of a personal discrepancy, whether it be going through an untimely divorce with our once beloved better half, getting laid off from work, unable to pay bills on time, or just trying to cope with the unfortunate struggles of everyday life. As part of growing/healing as a community, the onus is on us to live responsible by making critical thinking a constant in all that we do. Because by thinking critically, we will be able to formulate/develop some formidable alternatives, that are conducive to resolving whatever personal social dilemmas that we may be experiencing, as opposed to just running to and hiding behind the quick fix solutions of this liquid monster. MIM(Prisons) responds: We agree with this comrade that alcohol abuse, as well as the abuse of other drugs, gets in the way of the fight for national liberation. In fact the government had a hand in this as a tactic to diffuse the revolutionary movements of the 1960s and 70s when drugs became widely available on the streets, and then imprisonment for drug use grew dramatically. Alcohol is in some ways more insidious than illegal drugs because it is legal and so widely available, but as this comrade points out, it is physically destructive and addictive just like illegal drugs. We do differ from this comrade on the theory of focoism which suggests that a small cell can spark a revolution (or even accomplish a revolution) without the participation and support of the masses. 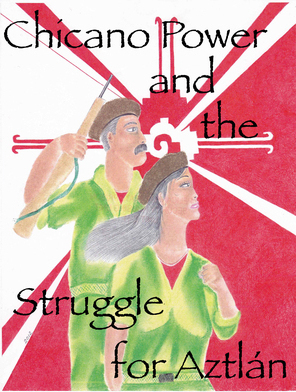 Maoism is the more steady, methodical process of developing the most advanced theory and raising the mass consciousness through struggle and seizing power one calculated battle at a time.